Megan, 25, is also an actress and hopes that her new company, ‘Buf e Wrap’, will be the perfect sideline career. 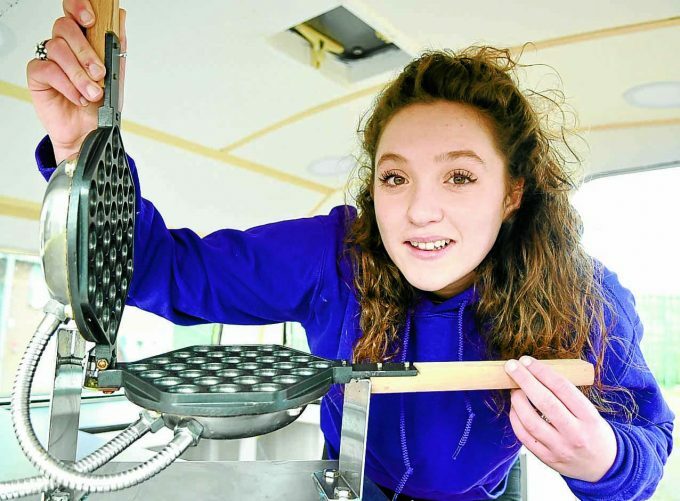 Discussing where the idea to open up shop and where her love of the waf es came from, she said: “Bubble waffles are really popular in Hong Kong and I decided to buy an iron for £80 so I could start making my own. 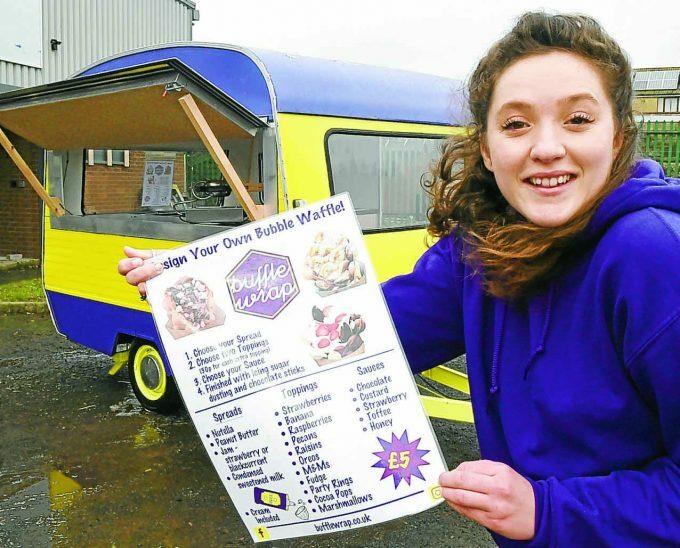 To get her businesses started, Megan, with the help of her brother and a tractor, rescued an unloved, weather beaten caravan from the undergrowth in her mum’s neighbour’s garden and gave it a six-month-long £2.5k makeover, with a cheery yellow and blue colour scheme. A student at the Royal Conservatoire of Scotland in Glasgow, she says a joint career on camera and ‘in the caravan’ would be the perfect mix for her. She said: “Believe it or not, a lot of acting jobs are actually Monday to Friday, so getting the business set up and touring at the weekends works out perfectly. “So far I’ve got a few dates in the diary and I’m applying to do lots of festivals, such as Eden and Electric Fields, but I’m also really keen to do weddings. 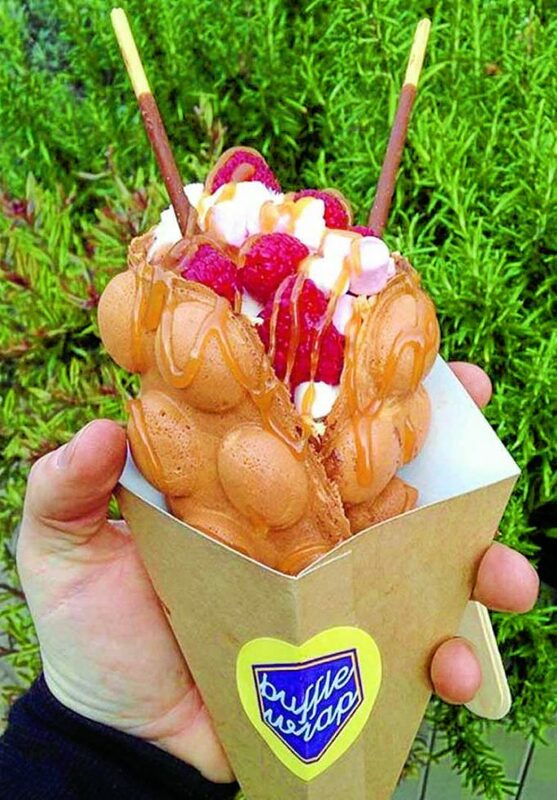 “I hope business really takes off and that in years to come Buffle Wrap could be a franchise.